Rainforest Publications recently licensed one of my Monarch photos, which was shot on Eastern Point, for the cover of their newest pocket field guide, Butterflies of Mexico. You can get a preview of the new field guide by clicking here; look towards the bottom of the page. I requested their field guide on Mexican Flowers, which Larry, the publisher, kindly sent along. I love it–the guide is beautifully illustrated, and well, just so pocketable! I wished I had it on my trip last winter to Agangueo to film the Monarchs and especially appreciate how the guide is organized by plant family as opposed to alphabetically. If any of our world traveling GMG readers are planning a trip to Costa Rica, Mexico, Florida, Hawaii, Panama, Peru, California, Nicaragua, Belize, or the Pacific Northwest I recommend checking out their website, Rainforest Publications. Specific to each region, they offer field guides on marine animals, birds, orchids, wildflowers, butterflies, trees, reptiles, amphibians, and more. They even have a field guide for marine mammals of the North Atlantic. At only $5.95. I think this would be ideal for whale watchers (and for whale watching companies like Seven Seas to carry the guides). 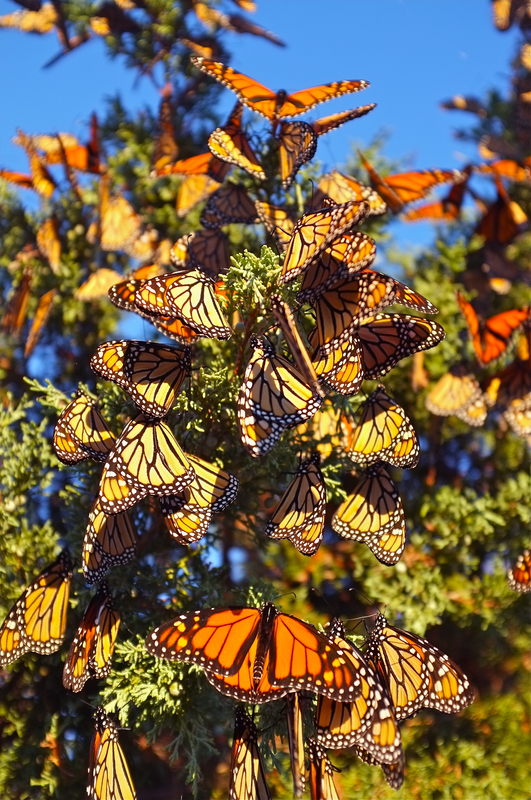 This entry was posted in Angangueo Michoacán Mexico, Gloucester Massachusetts, Monarch Butterfly Migration in crisis and tagged field guides, Kim Smith Photography, Mexican field guides, Monarch butterflies eastern point, rainforest field guides, Rainforest Publications on November 18, 2014 by Kim Smith.